A testimonial page is one of the most powerful, important parts of your site. Sure, you can use your homepage to tout your company’s benefits, but it means a whole lot more when rave reviews come from unbiased customers. Getting those testimonials is the first battle. Once you’ve gathered a list of stories, you then need to decide the best way to display them. Do you use videos? Do you feature images or just copy? What’s the best way to organize the testimonials so potential customers can find the ones that resonate? Event management software provider Bizzabo knows that we all digest information in different ways. Some of us like to read, while some of us prefer to listen. Luckily, their testimonial page has something for everyone. It starts off with short customer reviews from Twitter, then features a series of written case studies, and ends with a video testimonial. Xero offers business and accounting software, and understands that customer usage of their tools differ based on industry (for example, retail customers have different needs and use cases than farmers). So, instead of displaying a diverse list of case studies from more than a dozen industries, Xero first lets you pick which industry you want to explore. 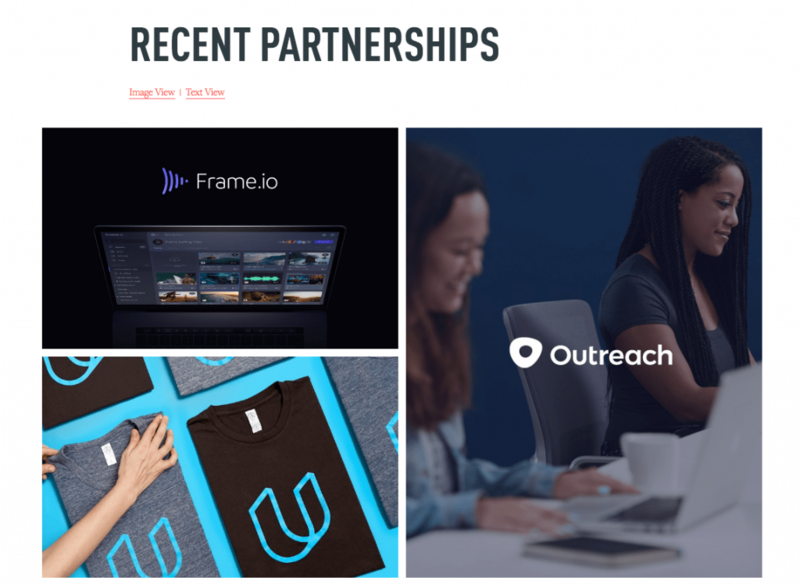 Once you click on one, like retail for example, you’ll go to a customized landing page that highlights an industry-specific video case study. 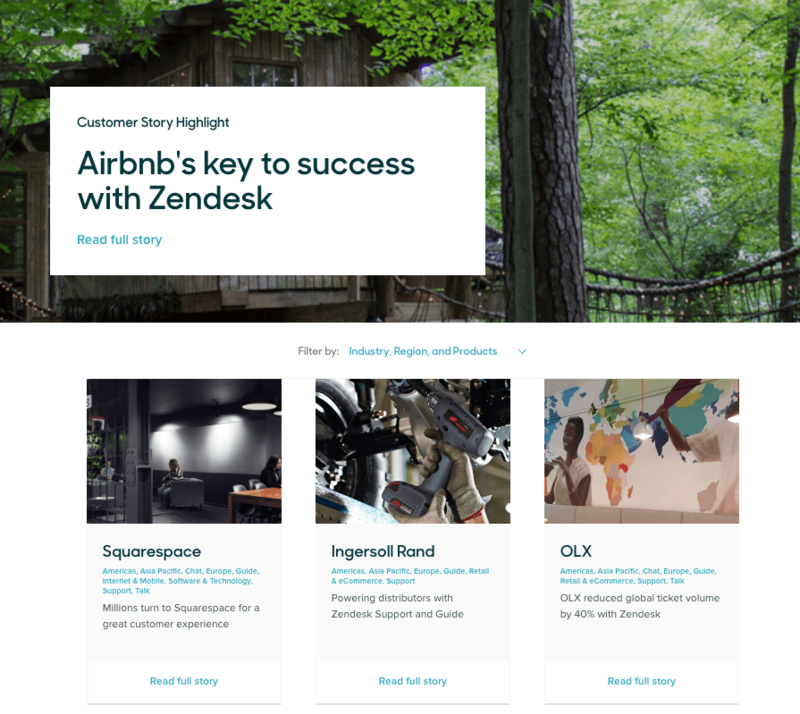 Customer service software provider, Zendesk, has created a visual, clean layout to showcase their customer testimonials. With a card-inspired format, you can scroll down the page to get a small snippet of each story and click to read the full narrative. If you’re looking for a particular testimonial, you can easily filter by industry, region, or products, and the testimonial page will automatically refresh. ChowNow, an online food ordering system and app, exclusively features video testimonials. They have a wide variety of restaurants featured on the testimonial page, from vegan to BBQ to seafood. To keep the page simple and uncluttered, they alternate between showing visual thumbnails for each video and simply displaying the Play icon. When you click on a video, it pops up directly on that same page, so you don’t have to navigate away. 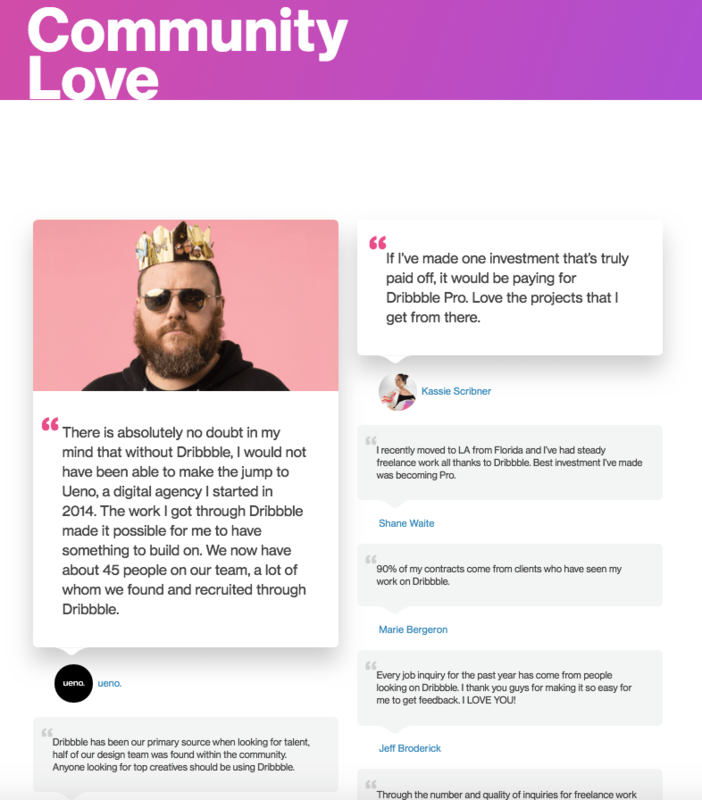 Dribbble, the online design community, doesn’t add unnecessary frills to their testimonial page. User quotes are displayed in a simple two-column layout, with links to each person’s Dribbble account. Select testimonials are visually highlighted with different colors, a hero image, or a video. Creative studio, Focus Lab, takes a bold, visual approach. It features a strong image for each partner, interspersed with quotes. When you hover over each image, it will tell you a bit about the company and you can click on it to view the entire testimonial. If the visual layout doesn’t work for you, you can toggle to the “Text view,” which removes all graphics and only displays text. 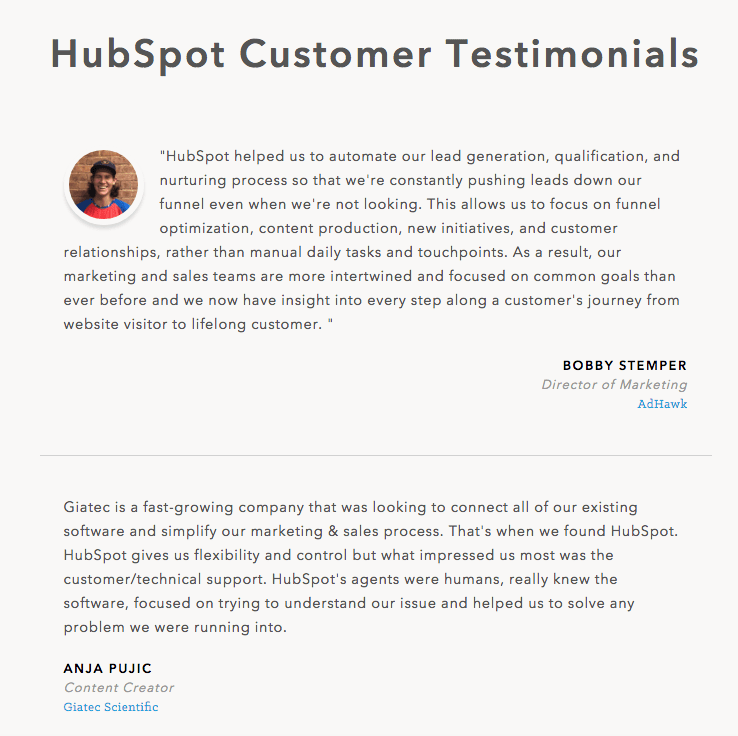 HubSpot, which offers marketing and sales software, might take the cake for the most simple testimonial page. With a single-column layout, each testimonial features plain text, a link to the person’s company, and sometimes, a headshot. In orange font, they cleverly call out if a customer switched to HubSpot from a competitor, highlighting the fact that the change was worth it. 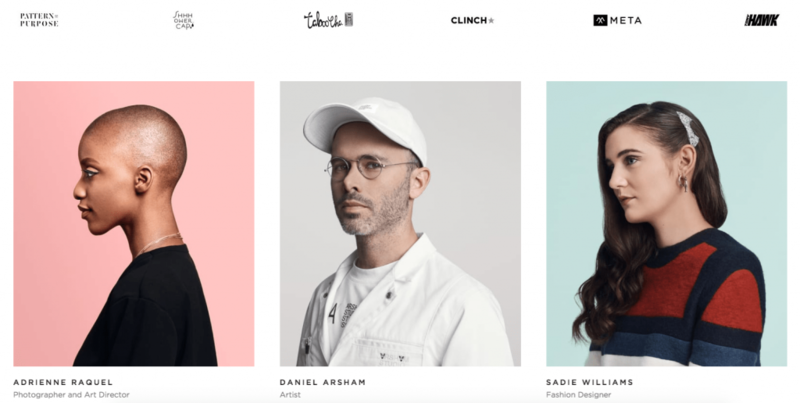 Website builder, Squarespace, has created a sleek, high-fashion look. 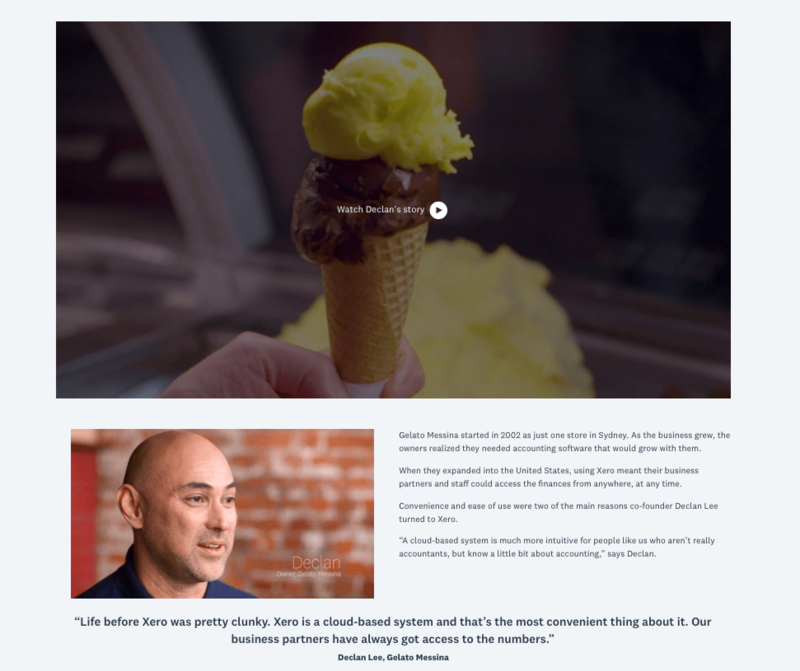 The testimonial page is broken into three sections: the hero banner features the most prominent testimonial with a silent video clip. In the next section, stories are accompanied by editorial portraits of each customer. And finally, in the third section, you can view real websites created by customers, toggling between industries like design, fashion, health and lifestyle, and food and drink. Casper, a mattress brand, presents their testimonials in a left-to-right scrolling, card format. Each testimonial has a star rating (great for skimming) and generic, illustrated avatars to add some personality. 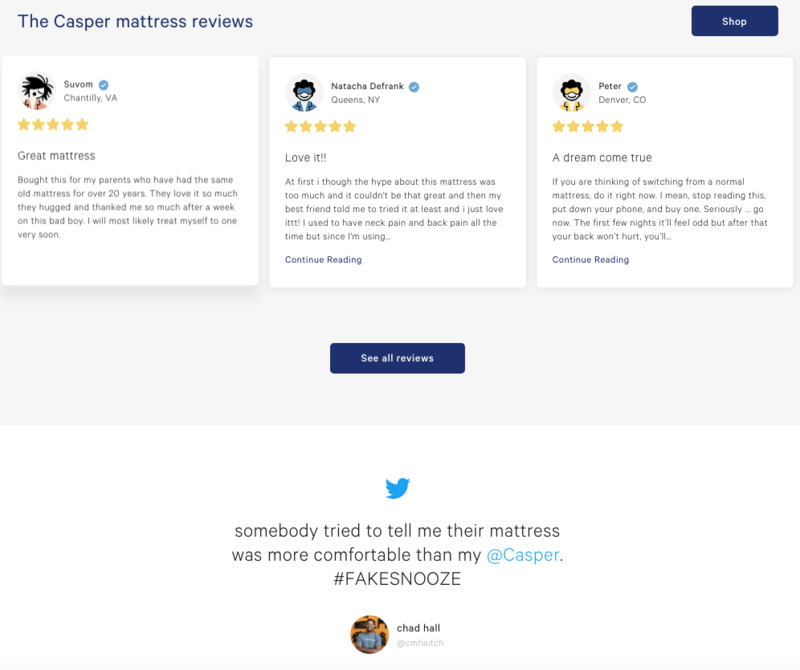 Below the reviews, Casper displays customer Tweets in the same scrolling layout. 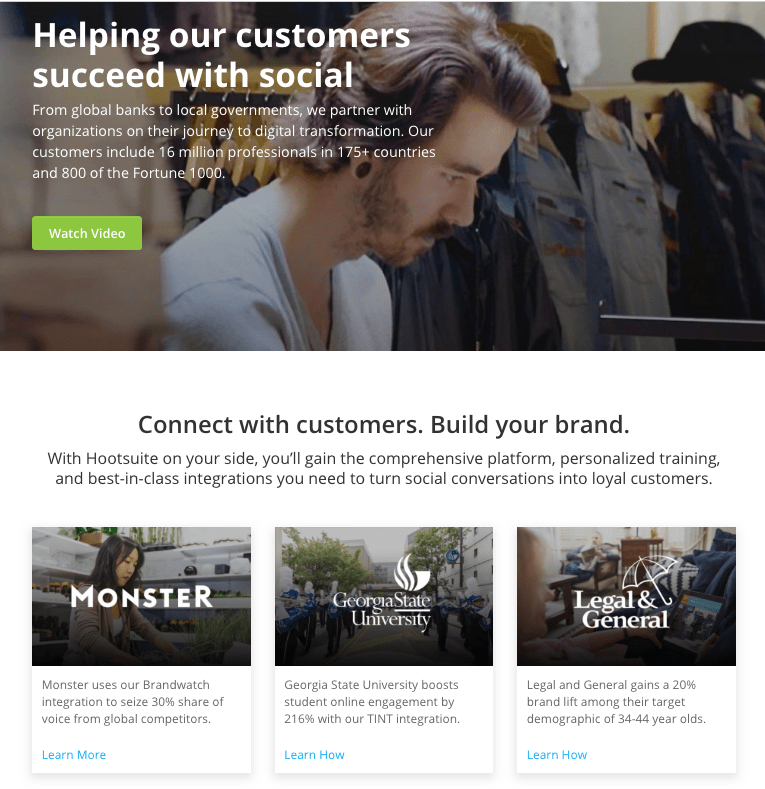 Hootsuite, which offers a social media dashboard, buckets their testimonials based on goals. For example, in one blade, they show testimonials from companies who have used social media to build their brand. In another blade, they highlight customers who have grown their revenue thanks to Hootsuite’s third-party integrations. Did we miss your favorite testimonial example? Let us know on Twitter: @InVisionApp.